Gulastra Plume is abnormally high pigment loss of the tail (but sometimes mane as well) in bay horses resulting in white hairs. 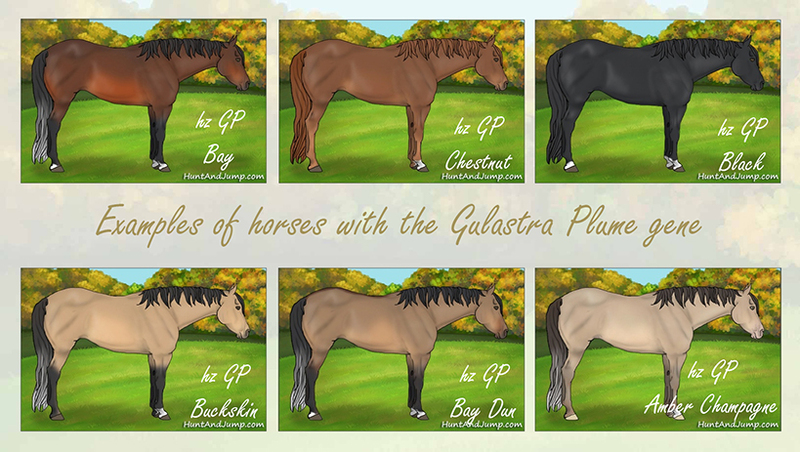 It is named after the Arabian stallion Gulastra who sired many gulastra plume foals though he himself was chestnut and did not show the marking. There is no evidence to show gulastra plume is a distinct gene. Many things can cause a lack of tail pigment. With out further evidence it remains purely hypothetical.